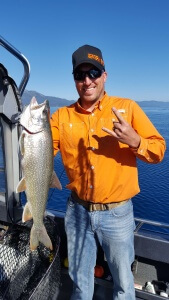 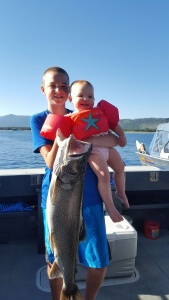 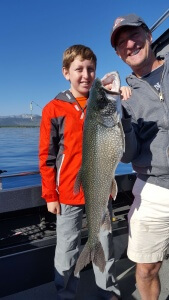 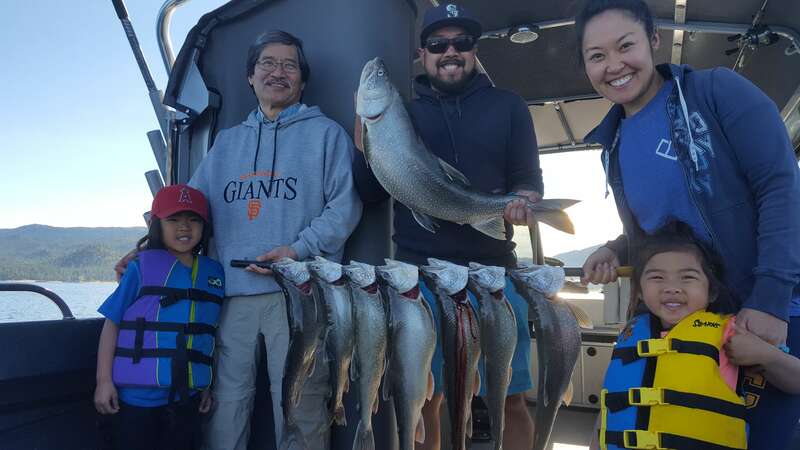 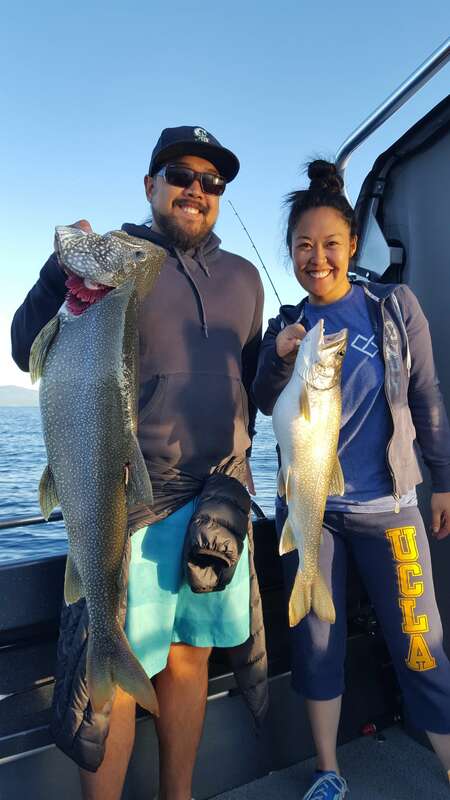 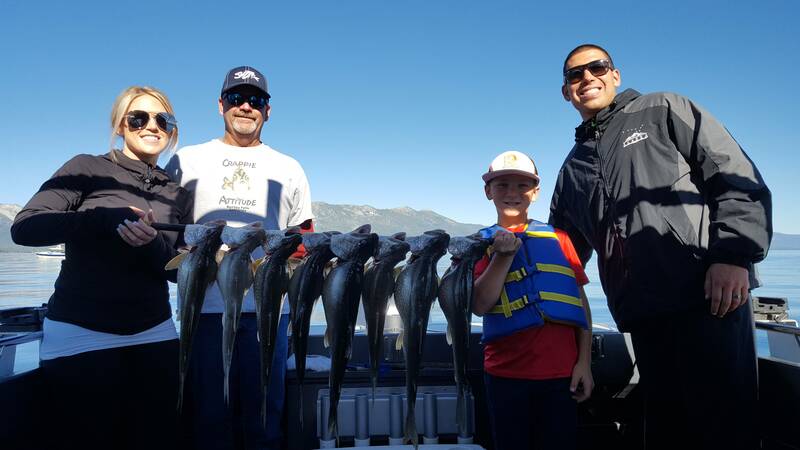 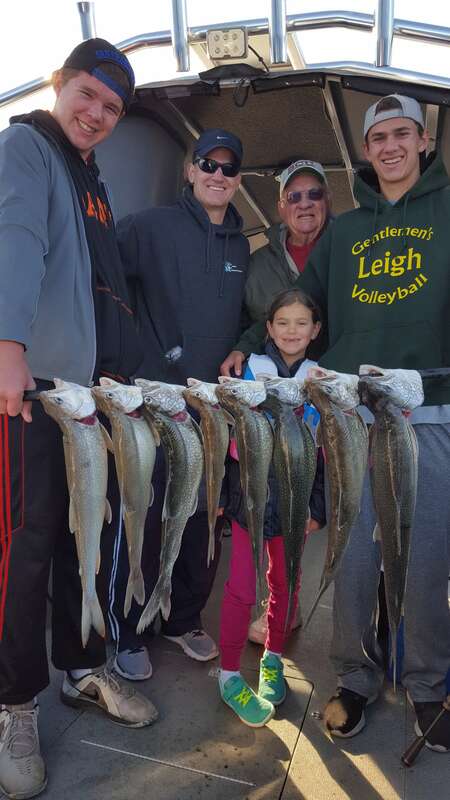 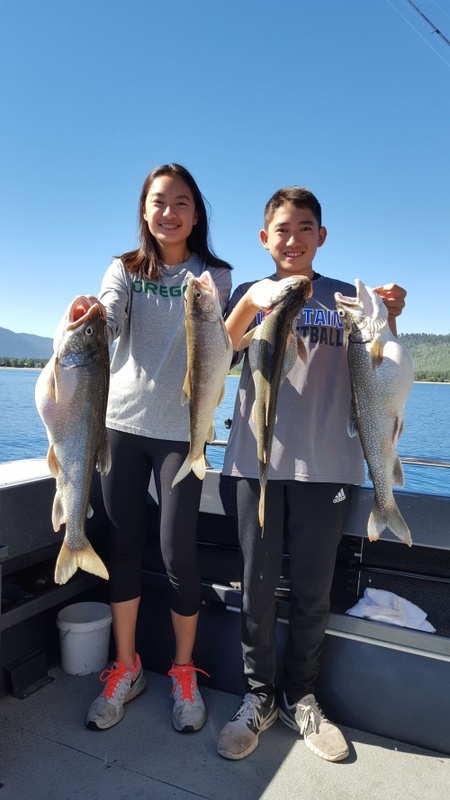 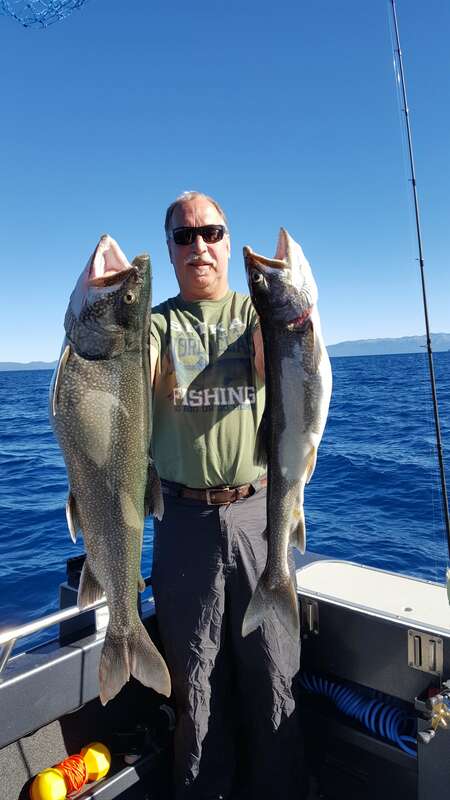 Report: Hello anglers its been about a month since our last report fishing on Tahoe has been outstanding since we reported last and we are really looking forward to this years spawn as we are already seeing a record breaking season for larger Mackinaw Lake Trout! 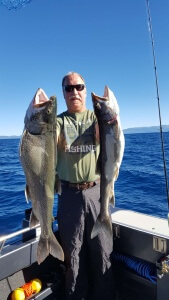 We have been sticking with the jig in waters between 150 and 230 feet as it is producing good quality fish between 3-6 pounds with several fish over 10 pounds in just the last 30 days, incredible! 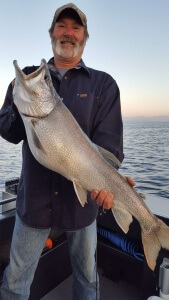 The Salmon are here but we are focusing on the lager Mac’s at his time. Capt. 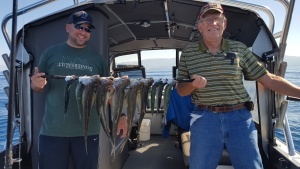 James is anticipating a good late salmon run that has just begun on the jig. 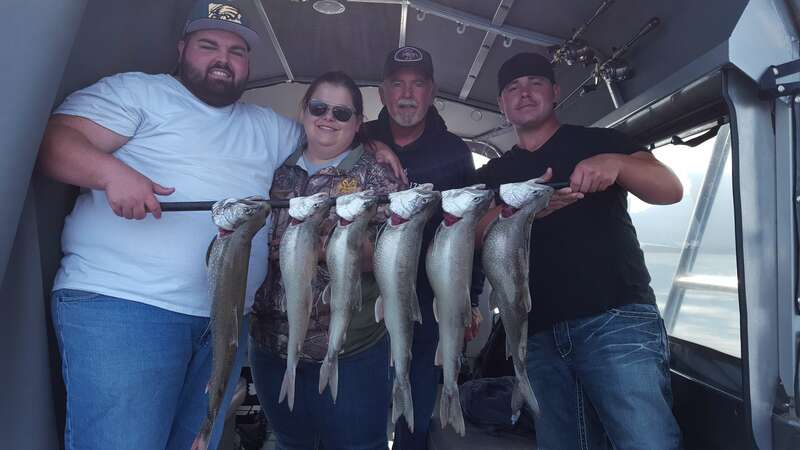 Yesterday 8-13-16 was the first real attempt made at jigging for the salmon after catching limits of Mackinaw with 2 anglers we capped off our 5 fish limit in about 45 minutes.